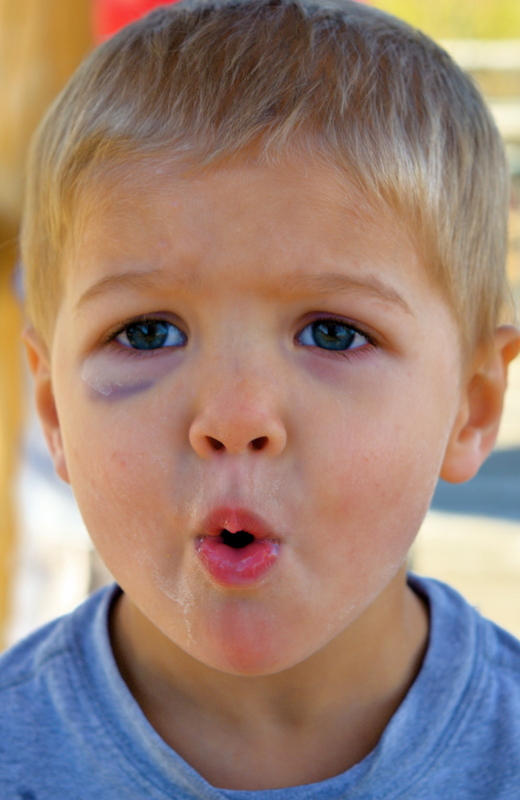 that resulted in a pretty good black eye. 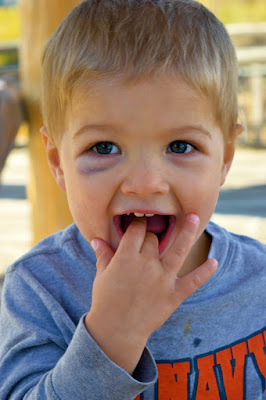 Our neighbor commented that it made him look "tough,"
but I thought his little black eye was just too cute. all it takes to make my day great is for Lincoln to put on these toy glasses. This picture gets me every time. My poor boy! So glad that it wasn't worse. Kiss his boo boo for me. 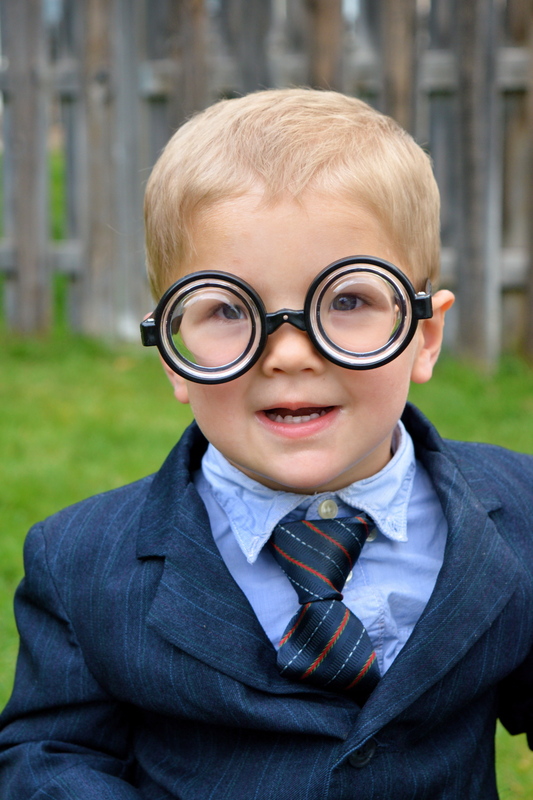 OMGosh, he is so cute in those crazy glasses.